Phoenix: Infectious French Pop Wolfgang Amadeus Phoenix, the fourth studio album by French rock band Phoenix, has appeared on many critics' best of the year lists, thanks to its infectious pop hooks and '70s disco grooves. The group has been called "Rock's Great French Hope" by Rolling Stone magazine. Thomas Mars and Laurent Brancowitz of Phoenix talk about their music and the album's title, which Brancowitz says his mother apparently didn't like. Phoenix's Wolfgang Amadeus Phoenix has been named on many critics' lists as one of the best of albums of the year. The French rock band Phoenix is known for its infectious melodic hooks, '80s rock influences and '70s disco grooves that are custom made for listening at high volumes. 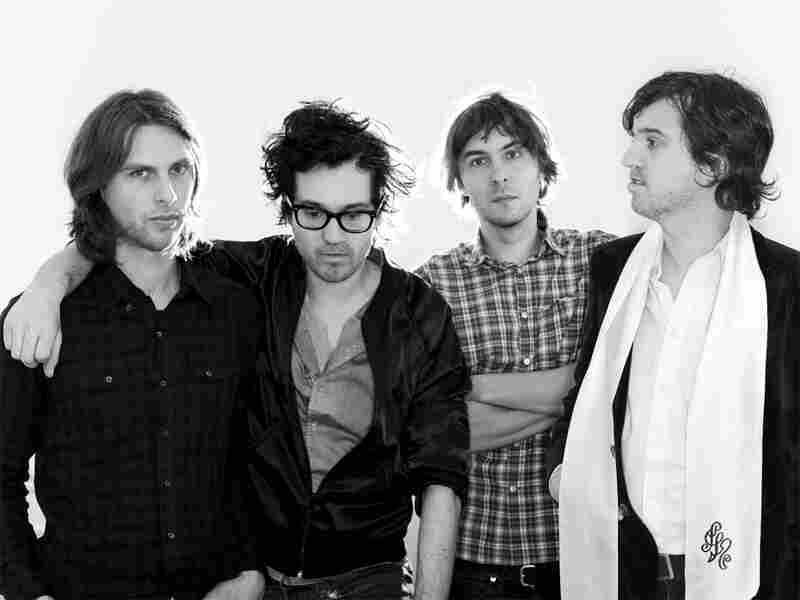 Formed as part of the backing band for the French electronic duo Air, Phoenix recorded its first album, United, in 2000. That release featured the song "Too Young," a single that was prominently featured in Sofia Coppola's 2003 film Lost In Translation. Since then, the band has found wider recognition, even being called "Rock's Great French Hope" by Rolling Stone magazine after its latest effort, this year's superb Wolfgang Amadeus Phoenix. The album has appeared on many critics' best of the year lists, thanks in part to the singles "Lisztomania" and "1901," which was featured in a recent Cadillac car commercial. Host Scott Simon spoke to Thomas Mars and Laurent Brancowitz of Phoenix about their music -- and about the album's title, which Brancowitz says his mother apparently didn't condone. "She's German, [so] playing around with the name of Mozart is like a crime," Brancowitz says. "When we told her the title, she laughed a lot and cried; that's when we knew it was a good title, when you have these kinds of reactions."